At the recently conducted European Association of Osseointegration EAO congress in October 2013,Dublin,Dr.Turner from World-Dent was actively involved in the scientific sessions and workshops. Infact, there are ongoing studies and research done at their dental institute and centers on how to grow bone around implants.How a dental implant interfaces with host bone in either optimal or suboptimal states in variable time spans. At the conference,Dr.Turner addressed the rapt audience with the current scenario in the population in the world plagued with tooth loss. 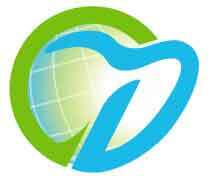 "The loss of human teeth and the concomitant problems have plagued mankind for many years now. Each year millions of people lose their teeth because of decay, disease, accidents, and even old age. About 55 million adult teeth are lost annually in the United States, and it is estimated that up to 30% of all adults have no natural teeth left. Thus, the problem is as real today as in antiquity." Dental implants come just in time to meet the wants and needs of these patients who treat dental implants no longer as a luxury but as a necessity, a part of their lifestyle. At World-Dent, dental implants are placed with scientific principles backed by significant evidence and in a sterile environment with the help of latest in 3D technology. This gives them an accurate placement and successful results,time after time, leaving no margin for error!